Problems reading this email? Then read it online. Hi there, XXXX, how are you doing? It's been five months since the last FiddleBop newsletter... Mea Culpa (which means "Sorry abaht that" if you come from Basildon, Essex. As I do)... These months have been a busy time for FiddleBoppers Jo and Dave (that's me). Of which more below. But for now, let's get on with the important stuff: FiddleBop's 'hot jazz Jazz with Gypsy zing'. Live! So first up, it's time once again for one of our annual-regular gigs. This isn't one which will ever make the national headlines, but it's an event that we love: lotsa fun, lotsa friends and lotsa music! Yes, it's Open Day at Hook Norton Library (The Library, High Street, Hook Norton, Oxon OX15 5NH) from 9.30 am — we do mean the morning, really! — on Saturday 13 May 2017. We'll be playing outside if weather permits. And as well as free hot-jazz-swing-with-gypsy-zing from FiddleBop, there will be stalls selling books (some bargains to be had here, folks) and plants and tea and coffee and cakes and more. We'll finish playing about lunchtime. And thinking of lunch, the Library is just down the road from the far-famed Hook Norton Brewery. So it's not far to go if, post-gig, you have a sudden urge to learn about (or even drink) Hookey fine ale! From a library, to an art gallery and museum. However can FiddleBop pack this much culture into a mere two gigs? 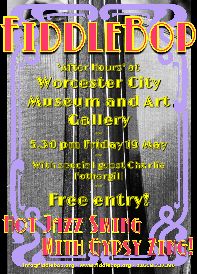 At 5.30 pm on Friday 19 May 2017, FiddleBop play 'After Hours at Worcester City Art Gallery and Museum' (Worcester City Art Gallery and Museum, Foregate Street, Worcester, Worcs WR1 1DT). This one will be something different! Besides a rare FiddleBop foray into the dark heart of Worcestershire — the county of black pears (bet you didn't know that either) — we've a special guest: Charlie Fothergill on clarinet! Go Charlie! And for FiddleBop's Dave, this will be something of a 'full circle' gig. Many years ago (well, maybe not that many) he lived in Worcester for a couple of years. 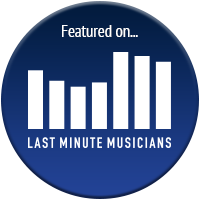 Much of which time was spent cloistered in his London Road basement flat, lost in the initial stages of learning to play the fiddle... Did any of his then-neighbours survive the audio-torture experience? Nostalgia aside, see you at Worcester Art Gallery and Museum? It's free entry, and you can enjoy being part of minor musical history when the Four FiddleBoppers, plus Charlie and her clarinet, first fill this august edifice with the ripe-unto-bursting, mellifluous sounds of hot-jazz-swing-with-gypsy-zing... We can't wait!!! 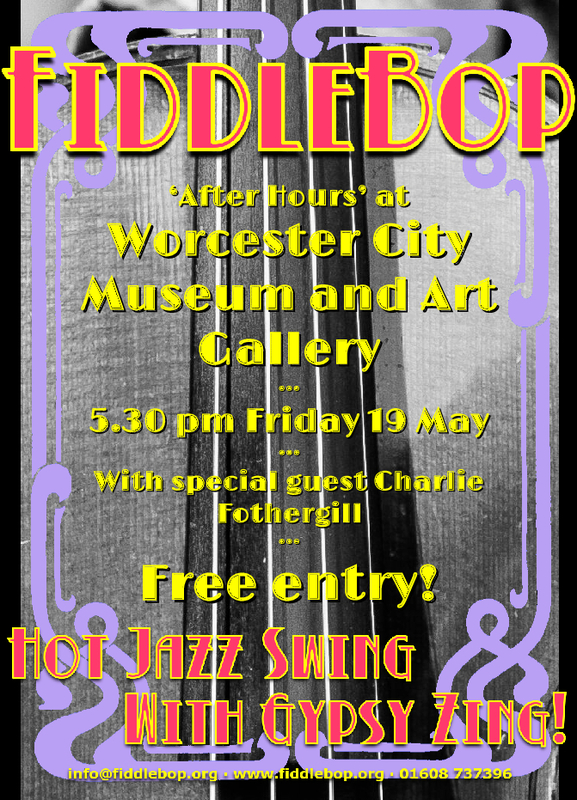 And on the principle that you can't have too much of a good thing (a dodgy line of reasoning, if ever I heard one), FiddleBop stay with that Worcestershire theme. For Asparafest 2017! 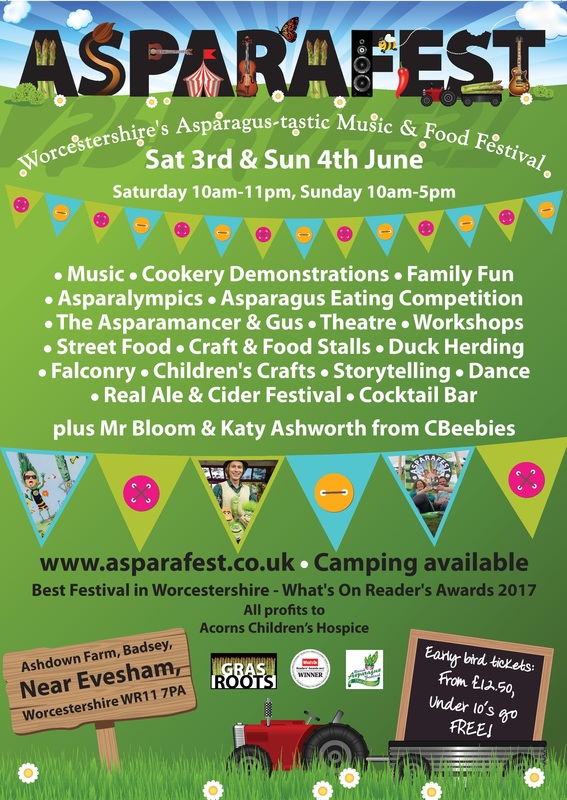 This will be FiddleBop's first visit to "Worcestershire's Aspara-tastic Music and Food Festival!" (Asparafest 2017, Ashdown Farm, Badsey, near Evesham, Worcs WR11 7PA). At 12.35 pm on Sunday 4 June 2017, FiddleBop will grace the AsparaStage (really!) ready to give our utmost. So that'll be 45 mins of the hottest jazz-swing-with-gypsy-zing to be heard anywhere in our sceptered isle. And if that isn't enough to tempt you, this two-day festival — Saturday 3 June to Sunday 4 June — has lots more music, plus dance, cookery, duck herding with The Quack Pack, falconry, junkfish (don't ask me, I have no idea), storytelling, Madame Zucchini, workshops, walkabout shows, vintage and classic vehicle displays, craft and food stalls, real ale and cider, cocktail bar, and more! And there's more! 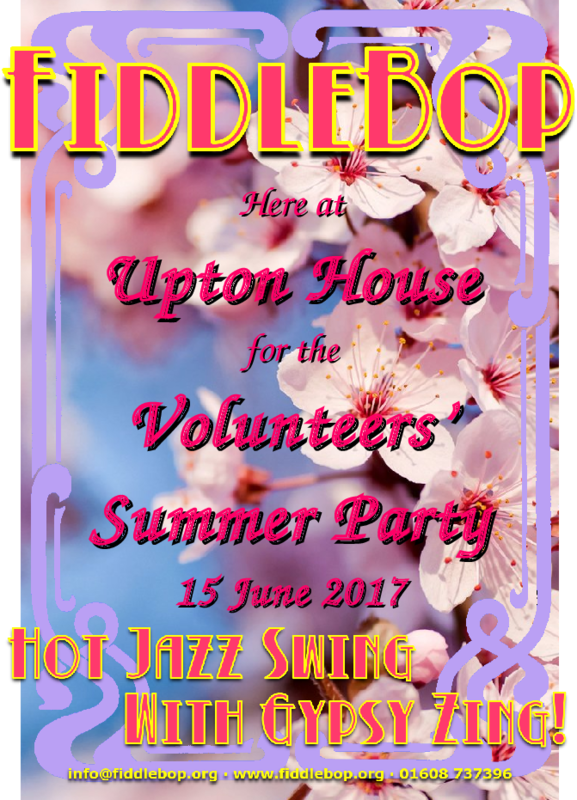 At 2 pm on Saturday 17 June 2017, three of the four FiddleBoppers will be purveying hot-jazz-swing-with-gypsy-zing at the Confluence Collection Cafe (St Luke's Church, Canning Crescent, Oxford OX1 4XB). This will be a fun one, for sure! And still they come! FiddleBop return to one of very favourite-most venues from 7 pm on Sunday 2 July 2017: The Rose and Crown, Oxford (The Rose and Crown, North Parade Avenue, Oxford, Oxon OX2 6LX). This is an Oxford Jazz Kitchen gig, with (as I said last time: but it is still true...) one of the friendliest and most helpful landlords you could wish to meet, plus fine beer and great food, a character-filled beer garden/courtyard where we play, and lively and enthusiastic audiences. After all that we need a break, and so we'll be having one. Sort of. (See below). 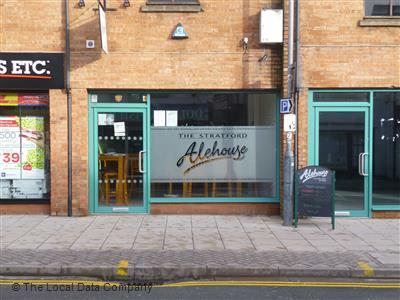 With the world back to rights (yes, I admit it: I'm an optimist) after our summer break, FiddleBop return to "Shakespeare CAMRA Pub of the Year 2016"	The Stratford Alehouse (The Stratford Alehouse, 12B Greenhill Street, Stratford-upon-Avon, Warwicks CV37 6LF) on Sunday 13 August 2017. From 5pm we'll be providing hot jazz Jazz with Gypsy zing" to accompany Bill's award-winning beer and his warm and friendly welcome. This is our favourite pub in Stratford-upon-Avon, the music will be brilliant and entry is free. So what are you waiting for? 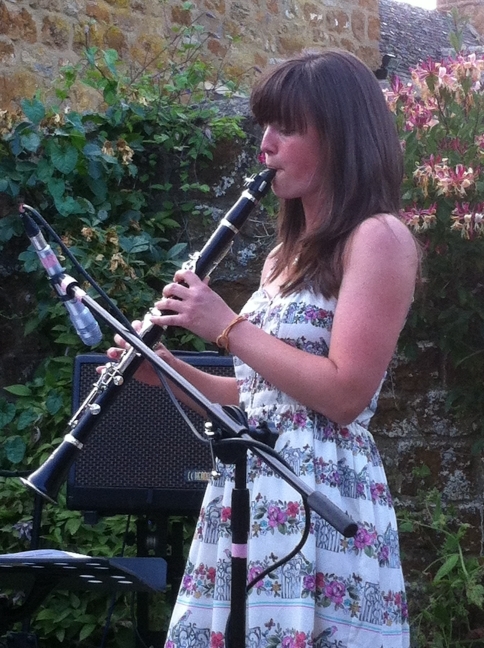 Which brings me to the final FiddleBop gig to be mentioned in this newsletter: on Saturday 26 August 2017 at Chippy Lido (The Lido, Fox Close, Chipping Norton, Oxon OX7 5BZ). We're returning for a second year to provide some summer evening jazz-round-the-swimming-pool at this community-owned organisation. More details when we have them... but if this is anything like last year's event, it'll be a cracker! So... what's all this about "busy few months" and a "sort-of summer break" for Jo and Dave? Well, in July we're moving to Wales! North of Brecon, in the hills above Erwood. We hope so, anyway: we are at the 'sold, subject to contract' stage. But does this mean the end of Fiddlebop? Finally, we really really hope that you can actually read this newsletter! We have had problems with the legibility (or rather, the illegibility) of recent FiddleBop newsletters, all involving Microsoft Outlook. Hopefully these issues are all now sorted, all confined to the dustbin of digital history. But just in case you still do have any problems, there's a web version of this newsletter here. OK, that's that for now. Another FiddleBop newsletter will (all being well) reach you in a couple of months. But didn't I say that last time, five months ago...? All the best, XXXX! See you soon, hopefully! This list of gigs is correct at the time of writing, but the list on our website is always up to date. The gig! When is it? Venue, occasion, whatever... Where is it? "Confluence is a music collective that represents the diversity of musical cultures in Oxford"
"Shakespeare CAMRA Pub of the Year 2016"
For the latest and greatest, most up-to-the-second info on FiddleBop's small doings (do you really want to know? ), see our Facebook page. All the best! info@fiddlebop.org 01982 560726 07968 950870 Share? PPPS You can email FiddleBop at info@fiddlebop.org.